Niccolò Machiavelli’s biography of musician Prince is probably like all these things either a puff piece or a all gossip and speculation. 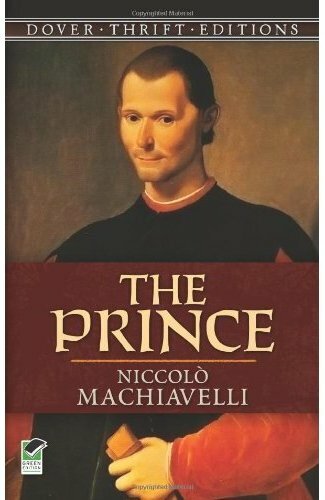 Machiavelli’s death 431 years before Prince Rogers Nelson’s birth tends to support the idea that it’s all speculation, and the addition of the definite article before Prince seems that it must be overly reverential. What’s really bizarre about this is the fact that as a super villain this book is constantly suggested to me as a “must read.” Now, Prince or “Love Symbol” is a prolific musician with some talent. Not to everybody’s tastes, certainly, but the success of his songs in the hands of others and the adoption of his look and sound by Micheal Jackson attest to the fact, but he’s not really a super villain. Sure, success and being surrounded by yes men has left him out of touch and arrogant (as Kevin Smith’s experiences with him show) and this can be a danger for the successful super villain. However, if you’re really meant to be a super villain being being out of touch and arrogant should come naturally.